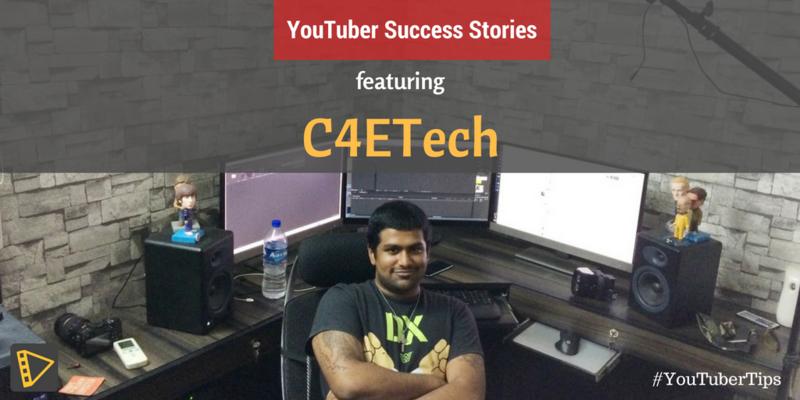 This is part 2 of our exclusive interview with Ash, popularly known by his YouTube channel name C4ETech (500,000+ subscribers). In the first part (you can read it here), Ash shared actionable tips for prospective vloggers and YouTubers. In part 2, we get a quick glimpse at the life of a popular YouTuber and learn what inspires Ash to keep making amazing videos. Q: How do you come up with new ideas for your videos? Ash: Often the best source of new ideas are the people who watch your videos. In YouTube you need to listen to your followers and keep evolving. When somebody leaves a harsh comment on my video, I copy the handle and see their comments from the past. If they have shared genuine positive feedback for something good, then I take the criticism as constructive and improve next time. What to shoot? People will tell you what to shoot. Feedback is what makes a YouTuber. Ash also does an exclusive video series called #AshAnswers which is dedicated to answering questions and comments from his fans and the community on YouTube and Twitter. Check it out here. Q: As a full time YouTuber, what is a normal day like for you? Ash: I start working at around 8 in the morning. When working, most of my time is spent on scripts. I like my videos to be as concise as possible. If i can convey something in 2 sentences why use 15! People’s time is precious. I often take my phone and go out for walk. I think about what to say and test record on my phone. When I get back to desk, I play it back and type it. This approach has made my videos very conversational. From shoot to edit, each video takes me about 5 hours. While I work on my videos, I need to coordinating with brands to get review units and talking to customs – sometimes it takes months to get a gadget cleared from customs! Q: When things get really tough, how do you stay motivated? Ash: You are going to have tough times. MKBHD (a.k.a Marques Brownlee) had just over 70 subscribers in his first year. (MKBHD now has more than 3 million subscribers). As a YouTuber, you will face a lot of bottlenecks. When you start, you don’t know anything. You start learning and decide on what to shoot. Once you do that, the next bottleneck you face is (for a tech YouTuber) getting devices to review. Let’s assume you go past that by making enough money to buy your own devices. Then your next bottleneck is your skill set and equipment. At one point, you stare at the dark. At that time a mix of gut instinct and user feedback will help you. It happens to everybody. One of my good friends Dagogo’s (a.k.a ColdFusion) channel wasn’t doing well for a long time. He creates long documentary style videos with amazing editing. He could have started doing tech videos or something to get a boost. But he had a vision and he stuck to it. Today, ColdFusion‘s videos gets 200,000+ views easily. It takes time but you need to be persistent. Q: You are the most followed tech YouTube channel in India. How does it feel? It’s good I guess. It’s a tag I like to mention to brands when I need to get review units on time (laughs). But honestly speaking, it’s not really that big a deal. 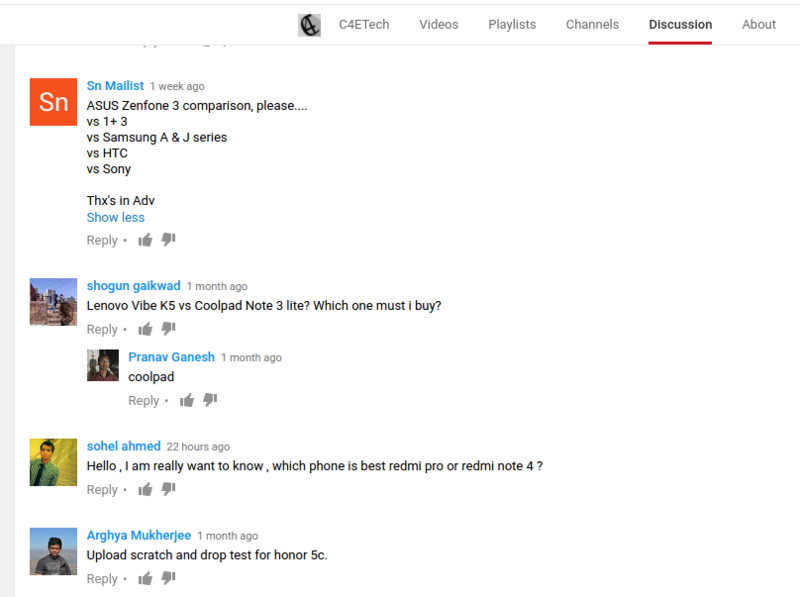 YouTube is not just about being Indian. It’s about being global. If I ever end up among the top 10 tech YouTubers in the world, I will start feeling happy about it. As our conversation with Ash came to an end, one of his quotes beautifully summed up the spirit of a YouTuber. It is YouTube. It’s about your point of view. You just need to be genuine. Liked the interview? Make sure you leave a comment below. Feel free to ask questions and share what more would you like to learn about. We will make sure we share it with Ash. This interview was conducted by Matthew John and Tejaswi Raghurama from Typito.